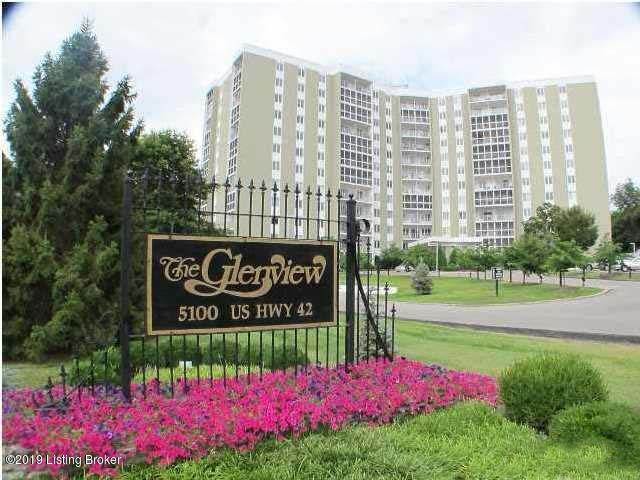 Welcome to this luxury condominium in The Glenview! Facing the garden (east sun), this unit has been completely renovated, with lots of open spaces, elegance everywhere and yet is warm and charming. The kitchen is a cook's delight: spacious, beautiful cabinetry, granite counters, stainless appliances that will remain. Open to both the large dining room and the large living room, the flow is excellent for entertainment. The two large bedrooms are on opposite sides of the unit. The master has a separate office with lots of storage. The second bedroom has a laundry room which houses front loading units that will remain. Both bathrooms are large with total renovation; one bath has a large walk-in shower, the other a large tub. The Glenview is professionally managed with many of the technical staff having years of experience in that building. Amenities include fitness room, sauna/steam, tennis court, in-ground pool, 2 high speed elevators. Pets, weighing under 25 lbs. are allowed. One very important feature is 24/7 security. Doormen will bring the garaged cars around to the front, and will be returned to the designated space when the owner returns. The Glenview is special for so many reasons. Call for your tour of this unit AND the many features! Directions:Driving East on US Highway 42, property is a high rise 1/2 block from the corner of US 42 and Lime Kiln Lane (light). Across from The Temple. Guest parking is upper lot (marked same) walk into portico, then sign in. SchoolsClick map icons below to view information for schools near 5100 Us 42 #1024 Louisville, KY 40241. MLS # 1523219: This property at 5100 Us 42 #1024, Louisville, KY 40241 is located in the The Glenview subdivision and is listed for $290,000. MLS # 1523219 has been on the market for 91 days.